"Old - school - shoot - them - up - that - will - make - you - sweat" fevers, congratulations: you've knocked on the right door! 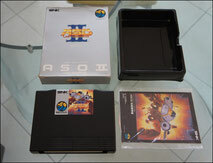 Alpha Mission II, also known as ASO II in the land of the rising sun, is the first vertical shooter released on Neo Geo... tied with the excellent Ghost Pilots, came exactly the same day! 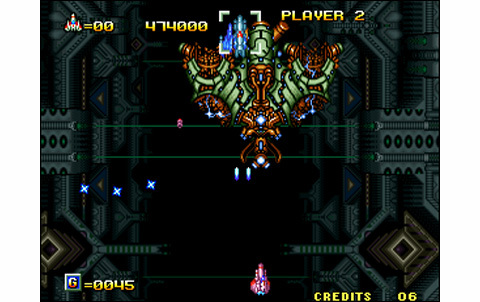 It is the sequel of ASO that was released in 1985 in the arcades and popularized by the NES port thereafter. 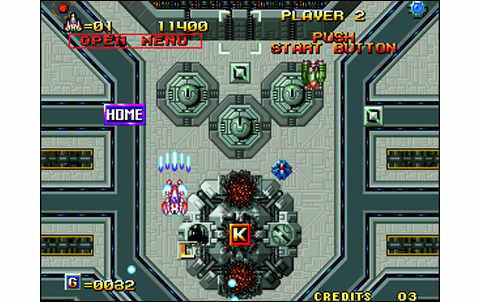 We are in 2025: ten years earlier (in ASO) your unit inflicted a crushing defeat to Fulvar and his coalition, the Seven Stars Alliance, a bunch of alien conquerors wanting to annex certain planets. They have once again gathered an army, and built an indestructible flying fortress. They intend to take revenge and walk over our beautiful blue planet: that's where you come in! Riding the SYD vessels, so we go to meet these motherfuc.. uh evil Aliens, to show them what we're made of, here on the Earth. 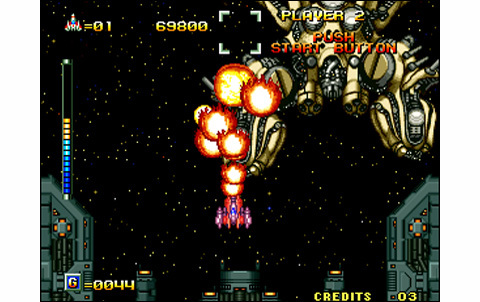 You' ll have to destroy enemies all over the solar system, until you'll encounter the Seven Stars Alliance Flying Fortress II. 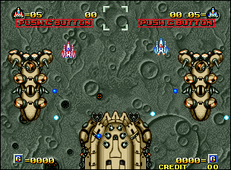 The controls are perfect, the ship is maneuverable and fast... but the hitbox is relatively large, as in every old-school shooter: poor players, go your way! Enemy fire is quick and unpredictable to fix things even... 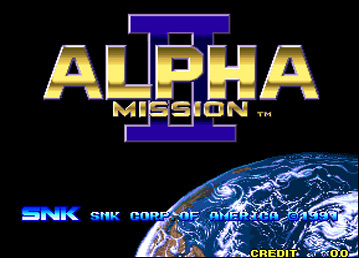 In other words, without having Viewpoint's difficulty, Alpha Mission II is still a tough cookie. By cons, strategies and bonuses are many and it'll be tricky to take full advantage of opportunities that are available. 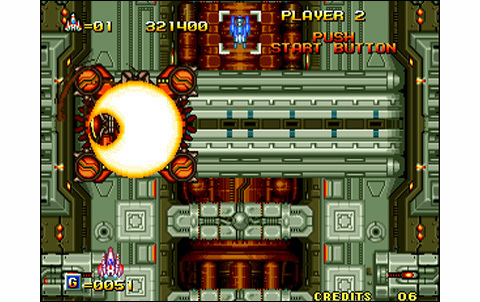 The ship has a laser and a missile fire, one for the flying enemies, the other for ground facilities and certain vessels or Bosses. 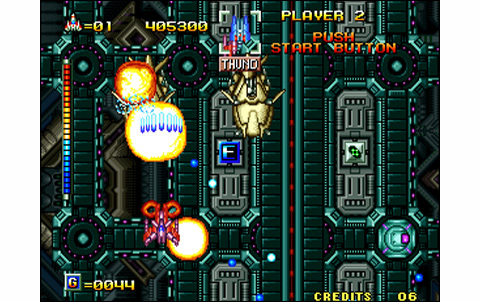 These weapons are upgradeable via the L and M items to collect, while the S items increase the speed of the ship. 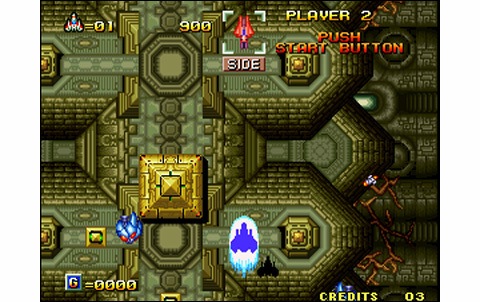 Keeping a good level of equipment will prove vital in the advanced areas: the K item (such as Keep) allows you to restart with all the stuff collected if you die: phew! This is rather classic, which is less is the secondary armament - or modules - that can equip the vessel. By pressing C at any time, it opens the menu where you choose the weapon you want to trigger. On the ship are then attached mass destruction appendices, as diverse as Shotgun, Bubble, Thunder, Phoenix, Shield, Fire .. and so on. Dozens of technologies are available, and in two ways: either by purchasing it during the debriefing, or by recovering the three component parts of each module during the missions. 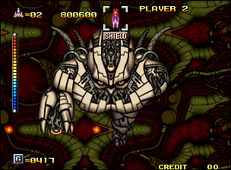 Not only they provide an additional shield, but also an extremely powerful weapon you can use with the B button. Progressing in ASO II becomes very interesting and strategic twist with this option. The game will also have you use your brain: get the modules while you can, then choose the one which fits best when needed! 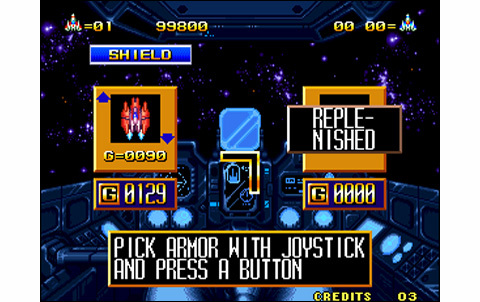 Gameplay is great: it's old school action, but the game features original strategies with these options. 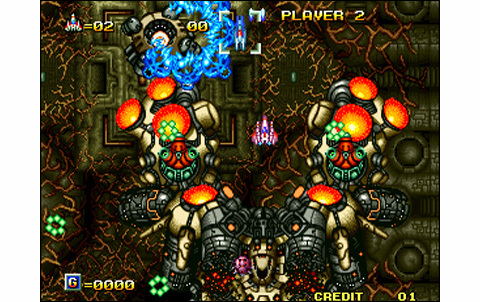 SNK's shoot is addictive when playing two and the choices of both players can be complementary: making the symbiotic choices might unleash a tremendous strike force that can litteraly punish the game. Realization is pretty average, but still far from ugly! The graphics are sometimes too simple and a bit empty in some areas (the first in particular), however they're beautiful, living and well crafted in other stages. The enemy ships and installations are moderately diverse, yet the best accomplishement are still the Bosses. Some of them are beautiful and original... the designer did not lack imagination, for sure! Science-fiction and biomechanic lovers will be conquered. 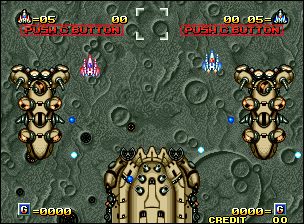 The animation is excellent and suffers no slowdowns in 1-P mode, and extremely rare ones when playing two. 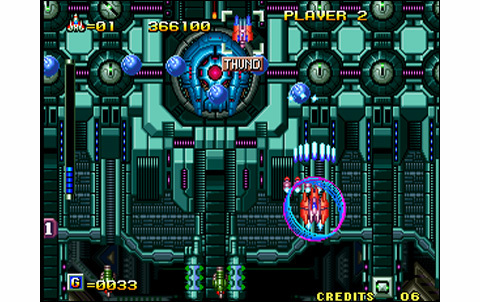 All this is pretty impressive for a 1990 game: it's still simple, but the quality is perfect. 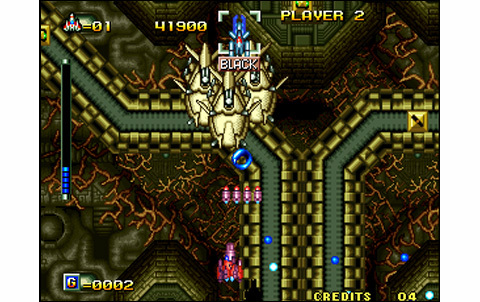 The sound effects are worthy of the Neo Geo, no doubt about this; the melodies, synthetic and spacial, are downright superb, and the music accompanying battles against bosses is epic. 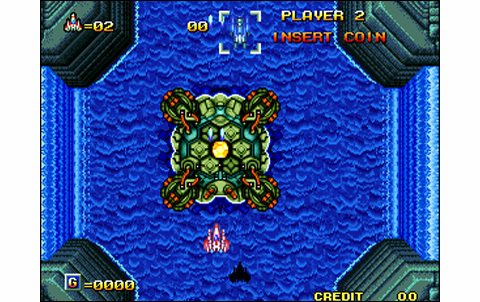 A game not to put in all handss, as its sky-high difficulty might cause frustration. 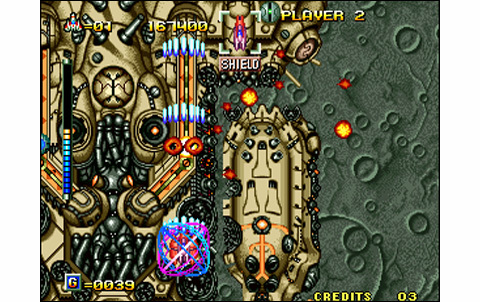 When you die in an advanced stages, you come back with the minimum weapons, while the strategy and reflexes required in addition to the old-school gameplay could discourage an important part of gamers. 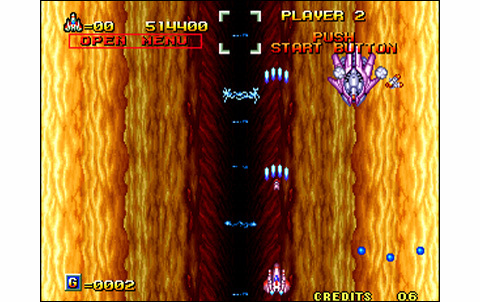 Clearing ASO II is pretty long and challenging, but with a little practice you'll surprise yourself ending up to the fourth stage without using a single credits. 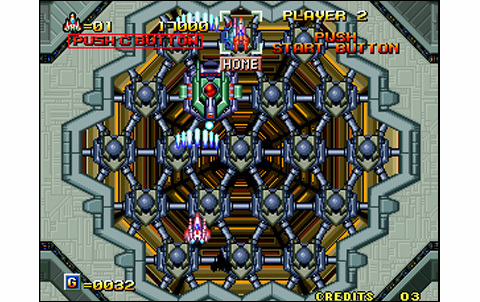 Anyway, there's many good reasons to go for Alpha Mission II: it's not the most beautiful, not the best game on the Neo Geo, but a very nice Shoot them Up, featuring an addictive gameplay and a nice realization. 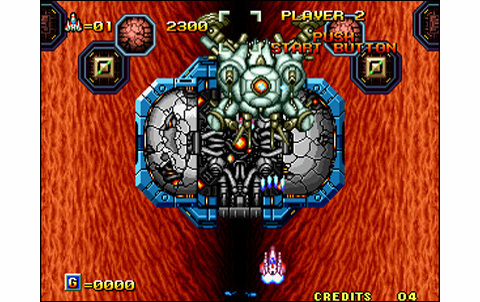 Clearly not the best seen on Neo, graphics are quite simple for the stages, but enemies and Bosses (sometimes huges!) are well drawn and various. 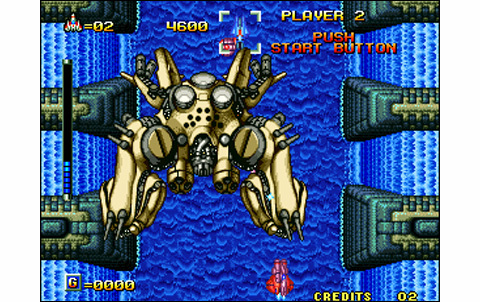 Basic but almost no slowdowns, backgrounds are alive and ships move smooth and fast. 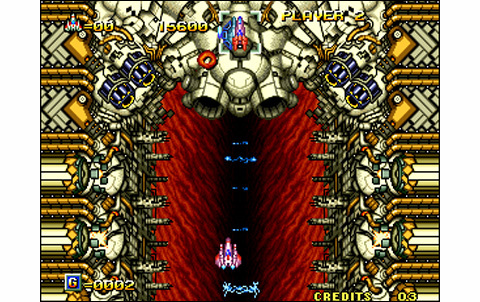 Space musics and gorgeous effects: 91's cream of the crop. 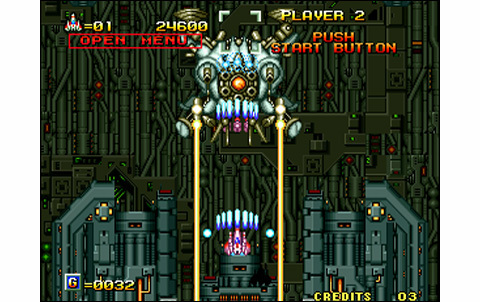 Six long stages (more than fifty minutes to clear), quite difficult and catchy with a 2 players coop. Strategy takes a good place in ASO 2, beyond elementary reflexes in this kind of game althought simple: deep and catchy gameplay you come back for! Top tier on the system! This amazing vertical shooter costs about 40 euros for the Us cart, and the japanese carton box can be found for 50 euros (used condition). Shoot them Up fevers, it would be a shame to miss such a great title!